Easily handle VAT accounting in any country. Create your own custom TAX rates at any time. Whether you account for VAT on the accrual or cash basis, we take care of everything for you. Switch from one basis to another at any time. 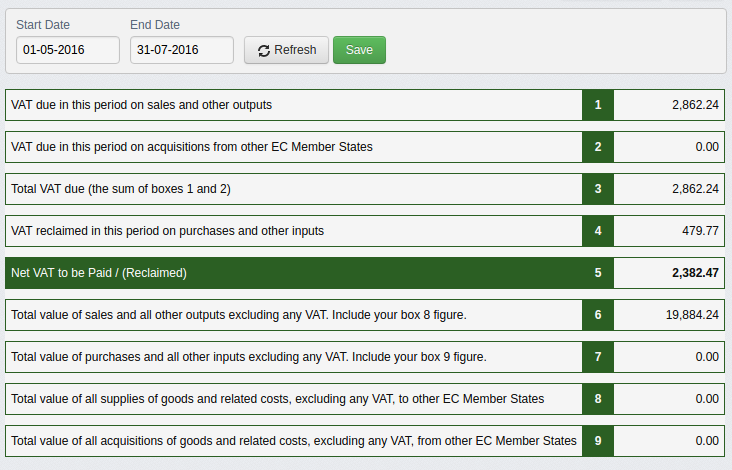 Create a VAT report in seconds. 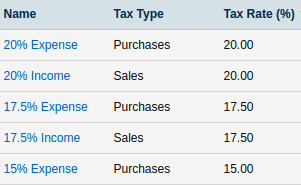 Reports are formatted so that filling in your VAT return is a simple task. Reports are automatically customised depending on your location. Automatic submission to HMRC for UK customers. The most comprehensive and intuitive Flat Rate VAT accounting around. Easily see your profit or loss from being on the FRS. If you based in the UK and registered under the VAT Flat Rate Scheme (FRS), then you could fall under the Limited Cost Trader status. Our VAT report will take you step-by-step through the implications and calculations.